Crutch Assist, Inc. introduces a new orthopedic crutch grip. The crutch grip is an accessory providing maximum comfort to the patient, reducing pressure point irritation and nerve damage. The comfort grip fits various crutch styles. Latex Free. The Fillauer Companies offer two new MightyMite® shuttle locks. 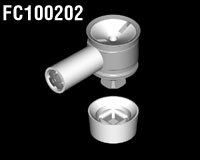 Both the Pyramid Housing Shuttle Lock Assembly, FC100202, and the Cylindrical Housing Shuttle Lock Assembly, FC100204, are compatible with 22mm endoskeletal systems. 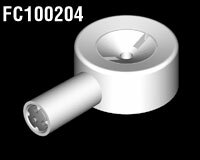 The new locks are a result of industry requests for smaller locks and will expand the Fillauer Company's popular pediatric/geriatric MightyMite endoskeletal line. The Fillauer Lock Systems expands to 13 locks with the addition of the MightyMite locks. The Knee Casting Sleeve from STS enables the practitioner to obtain an accurate model of the thigh, knee, and leg quickly and easily without the mess of traditional plaster of Paris. The finished mold is ideal for fabricating custom knee braces or KAFOs. 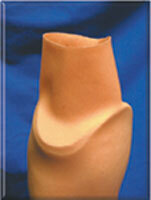 The unique double fiberglass tubular design allows accurate molding of the various contours of the lower extremity from thigh to ankle. A small pair of scissors can be used; no cast saw required. The mold cures usually within five or six minutes and is easily filled to make a positive. The glass-smooth exterior can also be scanned by most CAD systems. Two sizes are available: small (800-S) for thigh circumferences of less than 24 inches and large (800-L) for greater than 24 inches. 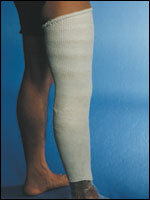 The knee casting sleeves are supplied in boxes of five. Orthomerica's Newport 4 Hip System is now available from Knit-Rite. Newport 4's patented offset adjustment limits contact with the incision site and offers improved patient comfort and compliance. The new thigh component design adjusts to accommodate varying shapes and helps prevent knee flexion impingement. Two distal bar lengths provide optimal hinge positioning for patients of all heights. Preset, quick-release closures assure same-fit each time. The universal pelvic design fits right/left to reduce inventory.Injection-molded plastic covers offer improved cosmesis. The Tib~Transformer orthosis is now available through Freedom Fabrication. This functional, low cost solution to tibial torsion deformities is lightweight, comfortable and easy to fit. The ProHand* from Motion Control is a new version of the Motion Control Hand which can be used with existing Otto Bock systems. Myoelectric arm wearers can be upgraded to the new MC Hand with an optional flexion wrist without having to fabricate a whole new prosthesis. The flexion wrist option can be included without adding any additional length to the Hand. The Motion Control ProHand offers the same advanced proportional control of the ProControl 2* and uses the ProControl 2 software and computer interface*. It has all the advantages of the standard MC Hand, including stronger fingers, a strong motor and the patented Safety Release feature. The ProHand is available in 7 1/4, 7 3/4, and 8 1/4 sizes, fits standard gloves, uses a Quick Disconnect Wrist, and offers a Short Hand option for wrist disarticulations. According to Alatheia Prosthetics, there is a leg skin that is made of silicone, looks like real skin, and is affordable! 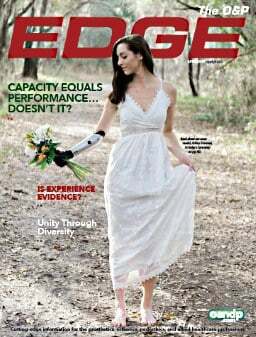 Derma~flex™ prosthetic skin is "off-the-shelf"-specifically designed to cover existing lower-limb prostheses. Medicare and Medicaid will pay for Derma~flex. Like Alatheia's Dermatos® custom-made silicone hand and feet restorations, Derma~flex is made of high-tech, medical-grade silicone, has a translucent life-like skin appearance and skin detail, and is virtually stain-proof. It is available in 36 polychromatic colors-the most offered in the industry-as well as customized color and different toe and toenail options. Available in BK, AK, and AK discontinuous lengths, Derma~flex dons in seconds! No heat gun or glue is needed. 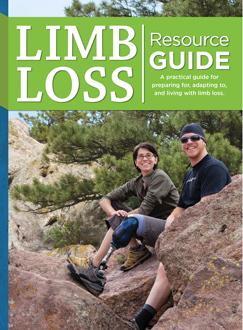 Prosthetists can go back into the leg for repairs without damaging the skin.